DSJ is a technological wonder that builds on the same architecture awarded Product of the Year in both Stereophile and TAS, Darko Knock-Out award, Editors’ Choice and Golden Ear awards. DSJ is an extraordinary performance instrument–handwritten and uncompromised–a pure DSD Digital to Analog Converter uncovering all the missing information long hidden in your audio library, from both PCM and DSD sources. CD’s, high-resolution PCM, or DSD based media, are expertly upsampled to twenty times DSD rate and output as pure analog directly into your amplifier or preamplifier. DSJ is one of the few, true, fully analog DSD devices, that’s setting the industry on its ear and reshaping the landscape of music and high-end audio. Now, full MQA, Tidal (including Masters), Spotify, Qobuz, VTuner and Roon ready. Now, full MQA, Tidal (including Masters), Spotify, Qobuz, VTuner, and Roon ready. I enjoy all kinds of music, but I am unabashedly in love with great rock and roll from the 60's and 70's. I still get goosebumps when Lynyrd Skynyrd asks me to "turn it up" (it's a law in my house), or when Led Zep plays "Black Dog" like there's no tomorrow. All those bands and all that music. The DSJ has a remarkable ability to recreate the great recordings of my favorite era with incredible resolution, detail, and passion, while not just retaining, but enhancing the emotive enjoyment, I've gotten over the years since hearing them for the first time. And that, my audio-friends, is the highest praise I can bestow.) Highly recommended for your audition. the DSJ, like its Father, still delivers on the three Rs: rich tonality, robust dynamics, revealing of low-level detail, textural information and spatial cues. What a winner! This is a high-end audio solution that our parents could use. Stupendous sound, fuss-free, intuitive and highly relatable. the DSJ offers up a musical image that is rich, fluid, and full. There's a nice dimensional quality without a hint of digital flatness that plagues, well, lots of digital reproduction. There's also no sense of the overly-etched or hyper-detailed presentation that my reference Auralic Vega can lean toward. I'm not saying the Vega is overly-etched or hyper-detailed as I've enjoyed it for years, but compared to the DSJ, it does sound a tad forced; as if it's trying too hard. That bears repeating… Blown Away. That’s my first, best attempt to describe my reaction to the sound coming from my new DirectStream Junior DAC. Sure, I could go into specifics: detail, imaging, transients, soundstage, and the big surprise for me – tighter bass. But it’s really about the sound. Wow. Granted, it’s replacing a DAC that’s a fraction of the cost – but still a real nice DAC. And it allowed me to bypass my preamp – a wonderful preamp IMO. Then there’s the elimination of my USB connected Roon endpoint with the I2S connected Bridge II endpoint. Regardless of the root cause of the huge SQ improvement (or combined causes), I’m hooked. So, the thirty day trial period? Mr. McGowan, if you need this DirectSteam Junior back… you’re just going to have to build more. I’m keeping this one. ;-) Sorry. Me? I’m delighted, and grateful to PS Audio for making such an outstanding component available at such an excellent price. Thank you folks! PS – I had not yet told my wife about the change, since I was still hooking everything up and listening. But she walked by the listening room, stopped, came in, sat down, listened, and then began telling me what music she wanted to hear. Then continued that for a couple hours. She was hooked too. The point is… someone who did not even know to be listening for anything different was just passing by, and heard it. And it sucked them in. Compelled them to listen. It’s not subtle. I think that PS Audio hit a homerun with the DSJ. It's beautiful to look at, it's simple to use, it has all of the digital inputs a reasonable person could hope for, and it helps protect your investment by being software upgradable. I'm a fan of FPGA chips because of their functionality and how they sound. For those of you (like me) who have never enjoyed your CD collection much or your hi-rez digital files, the DSJ just might put a smile on your face like it did mine. I found that PCM recordings that I just wouldn't play before I could now play and enjoy through the DSJ. For me, that aspect is the icing on the cake, because being a DSD fan, I love how the DSJ sounds with native DSD files. If you get a chance to hear the DSJ and see and hear what it brings to the table, I think you may just be smitten too. 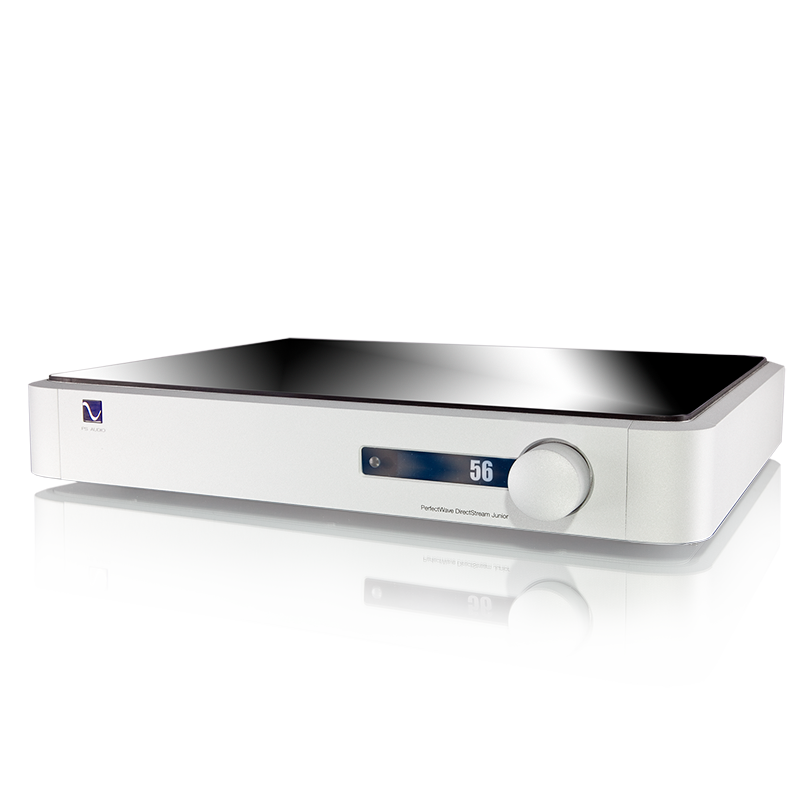 With their DirectStream Junior DAC, PS Audio has managed to offer the technology developed for the DirectStream “Senior” for only two-thirds the price. 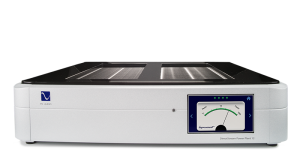 What makes the DSJ special isn’t merely technological, but that that technology is used in the service of outstanding sound quality to make it among the best-sounding DACs I’ve heard. The DSJ is an incredibly detailed- and wonderfully transparent-sounding component whose fluid, natural sound is musical and highly addictive. During my time with it, I enjoyed revisiting many discs and files, simply to hear how they’d sound through the DSJ. It never failed to impress. If you’re in the market for a new DAC and want topflight sound, it would be a mistake not to hear it. I'd say it’s pretty hard to do better, at least for now. 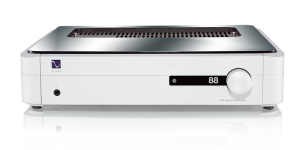 The machine has all the features you should expect from a modern DAC: it’s upgradeable, and compatible with all formats; it can be used without excessive loss of quality by connecting it directly to a power amplifier; and you can use it as a network streamer. Mostly I would say it has its own well-defined personality, which is reflected in really good sound.